FeBREWary maybe the official month for beer in Maryland, but local craft and farmhouse brews can be savored every day of the year in Frederick County. From Maryland&apos;s largest brewery to local brewpubs, the variety of brews and settings offered in our area are made for beer enthusiasts. Stop by Frederick’s first brewpub, Brewer’s Alley Restaurant, on Market Street for a craft beer and delectable American cuisine. Enjoy one of Maryland’s first “farmhouse breweries” at the Milkhouse Brewery at Stillpoint Farm in Mt. Airy. Visit Maryland&apos;s largest brewery, Flying Dog Brewery, for a tour, tasting, or special event and experience craft beers that are enjoyed around the globe. Witness the magic happening at Monocacy Brewing Company, as they create and bottle creative craft beers like Riot Rye. More Ways to Say Cheers! 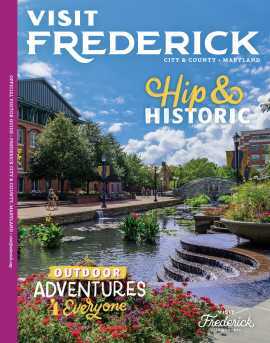 Start planning your trip to Frederick for the Maryland Craft Beer Festival and or dine in one of Frederick&apos;s many local restaurants that offer a variety of local beer on tap.